Wine is not a new story for Cyprus. Recent archaeological excavations which have been undertaken on the island have confirmed the thinking that this small tranche of earth has been producing wine for almost 5000 years. The discoveries testify that Cyprus may well be the cradle of wine development in the entire Mediterranean basin, from Greece, to Italy and France. This historic panorama of continuous wine history that the island possesses is just one of the reasons that make a trip to the wine villages such a fascinating prospect. A second important reason is the wines of today – finding and getting to know our regional wineries, which are mostly small and enchanting. Remember, though, it is important always to make contact first to arrange your visit. The third and best reason is the wine you will sample during your journeys along the “Wine Routes” of Cyprus. 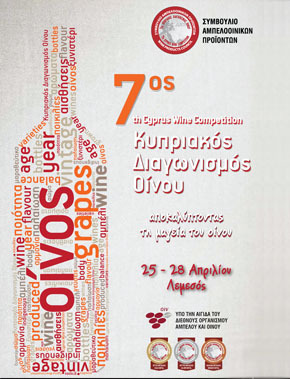 From the traditional indigenous varieties of Mavro (for red and rosé wines) and the white grape Xynisteri, plus the globally unique Commandaria to well – known global varieties, such as Chardonnay, Cabernet Sauvignon and Shiraz. Let’s take a wine walk. The wine is waiting for us!